The future of business will be all about “business as unusual”. The rising wave of new technology in particular will mean companies and individuals will experience change at a rate and scale that will surprise many. In this book, a leading futurist and consultant provides a unique perspective for understanding and managing such change. 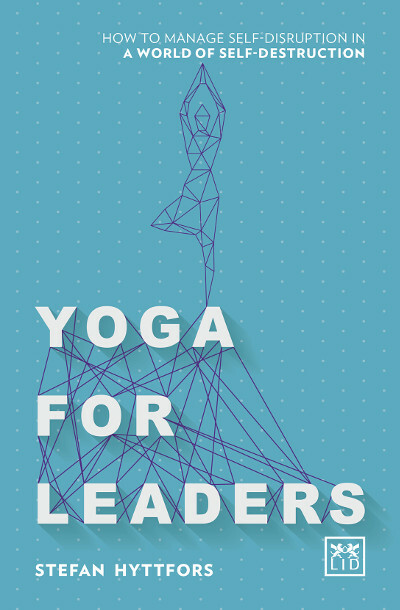 Hyttffors draws from the idea of yogic philosophy and the concept of mind mastery to help managers address the future of rapid change. He weaves together cutting edge technology with ancient Indian philosophy to increase business leaders’ understanding of how everything is becoming interconnected, and how current problems on a macro level and disruptive technologies (as solutions) will change the world. Moreover, he argues that successful management of change can be achieved by managers through a deeper understanding of human emotions. A fascinating and unique way for managers to cope with the amazing rate of change facing all companies. ● The author takes on a unqiue perspective to change management, combiniging both spiturality and technology. ● This book addresses the lack of consciousness and awarenenss amongst leaders. ● Contains inspirational stories from world leaders and successful entrepreneurs. ● The author is a leading futurist and professional speaker on future trends, disruptive change and innovative leadership. Stefan Hyttfors is an international futurist, consultant and speaker who specializes in teaching people how to understand and deal with change in an uncertain world. The power of a good story has long been recognised. It seems that, as a race, we humans love a good story. But stories aren’t just for pure enjoyment - they have long been a powerful tool for teaching.This book is an alternative to the traditional marketing handbook. Rather than a textbook, it is an enjoyable “story-book” that brings to life some of the key principles of marketing in an easy-to-read, accessible form. Some of these stories are quite remarkable and almost unbelievable; but all are true and remind marketers and businesspeople that the best marketing is something which people tell others about and retell over many years. Financial (or business) acumen is essential for all managers and owners of businesses if they are to truly understand how to make them successful. Yet, for general (non-financial) managers and owners, business finance is often perceived to be "difficult" and/or plain boring. This book, written by an experienced and popular teacher of finance to thousands of non-financial managers, explains in very simple but engaging terms what are the goals of a business, how it is set up to make money, what are the key measures of this financial health, and what are the key factors affecting those measures. Concise and designed for great accessibility, this is the dream-book for all those non-financial managers and owners who want a quick and motivating read on finance in order to obtain that necessary business acumen. This book presents a manifesto for the changing face of advertising. But rather than a revolution, this change is more of an evolution. Creative thought has to evolve, creative professionals have to evolve and therefore advertising agencies, too, have to evolve. Leading advertising practitioner Emanuele Nenna provides ideas and direction for this evolution in this timely and important book for everyone involved in the advertising sector. If growing your business is important to you, then this book will offer you the perspective on how to connect with high level, successful influencers in society and business. It will provide key strategies and ideas on how to break into and steer those individuals of impact that can be the difference between a good year and a great year for your business. The CEO Connector is based on the core principles and strategies developed by the CEO Clubs of America for reaching out and doing business with CEOs and Executives from around the world. Most importantly, this book will demonstrate how to reach out to all types of business leaders from baby boomers to millennials – in today’s multi-generation economy. We all depend on banks. They help us save and they help us spend. Yet for many they represent everything that's wrong with the world of finance. Poor service, high fees, creaking IT infrastructure and a market controlled by just a few providers have combined in recent years to create a personal banking crisis every bit as severe as the global financial crisis. How have things got so bad? Why are banks unable to balance providing good customer service with making a profit? And what can we do to protect ourselves from the tricks banks play to part us with our hard-earned money? This ground-breaking book, written by three insiders, reveals why banks do the things they do. From designing products they know will rip customers off to cutting branches they know their customers rely on, they explain how many banks' failing business models force them to make the wrong choices again and again. They make a rallying call for us all to be better informed about how everyday banking products actually work and to be wary of the many tricks and techniques product managers devise to make money.